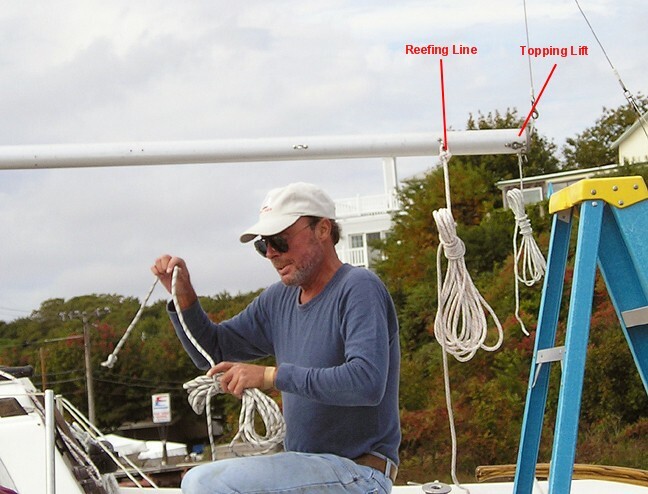 During the spring 2004 refitting, one of my projects before my extended cruise up the coast of Maine was to add reefing to "Chip Ahoy's" main sail. I began with some research for the best method. 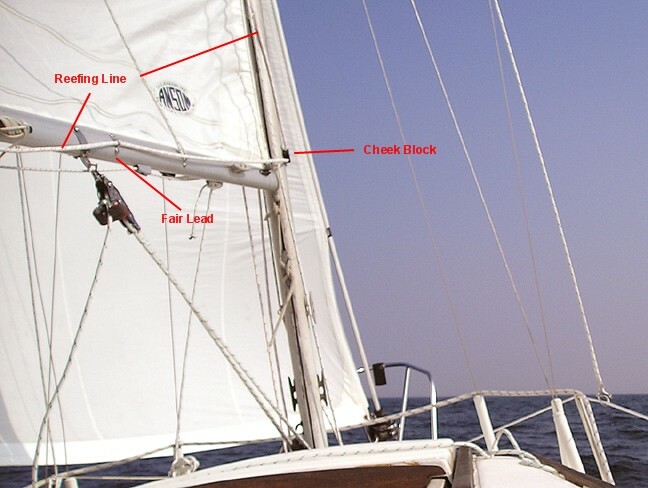 I wanted the reefing line to lead back into the cockpit as part of my all-lines-led-aft goal. 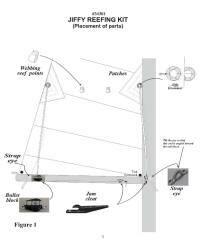 I found a couple more examples of how-to-do-it, this one from Sailright Enterprises. 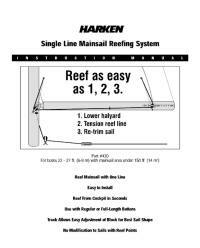 And this one from Harken, which I most closely adopted and adapted. 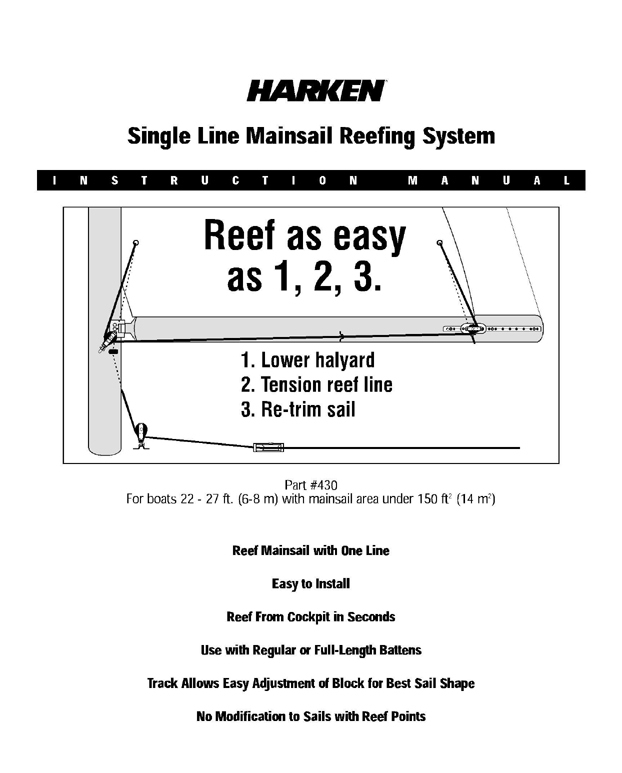 Harken has two great examples now; one a basic layout of a reefing system for a 22' to 28' boat [click here] and the other more detailed [click here]. I chose its #430 method with some adaptation. 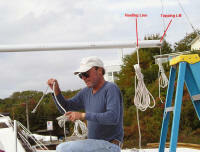 A view of how "Chip Ahoy's" mast is rigged for reefing. 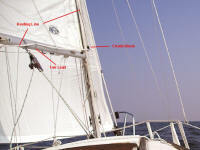 The stern-end of the boom with reefing line. 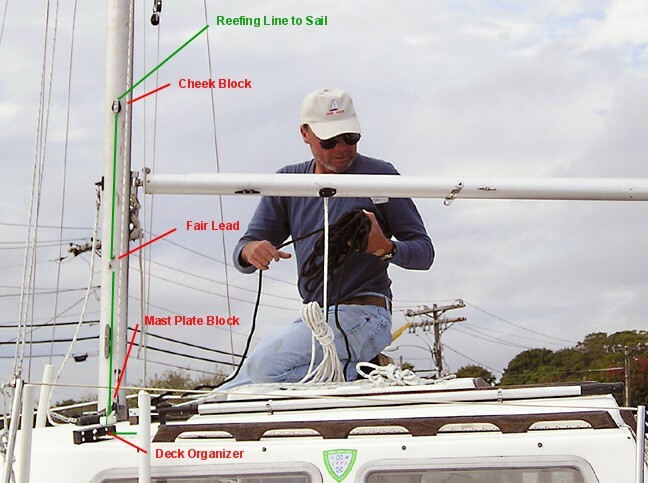 Reefing line led aft to the cockpit. 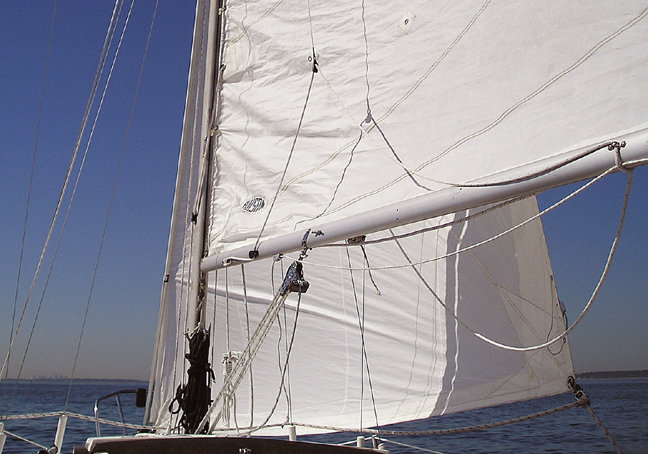 A view from the starboard side of the mast and boom. Note: to make it run more smoothly, the following year I replaced the 3/8" line with 1/4".